Andrew Gillum. Image via Twitter. Corporation lists voter registration, education as chief purpose. Former Gubernatorial candidate Andrew Gillum built up some serious hype when he launched a voter drive. That work will be done with his Forward Florida political committee, which he now chairs. But it appears Gillum also formed a corporation with a similar name and function. Division of Corporations records show on April 5, paperwork was filed for the Forward Florida Action not-for-profit corporation. 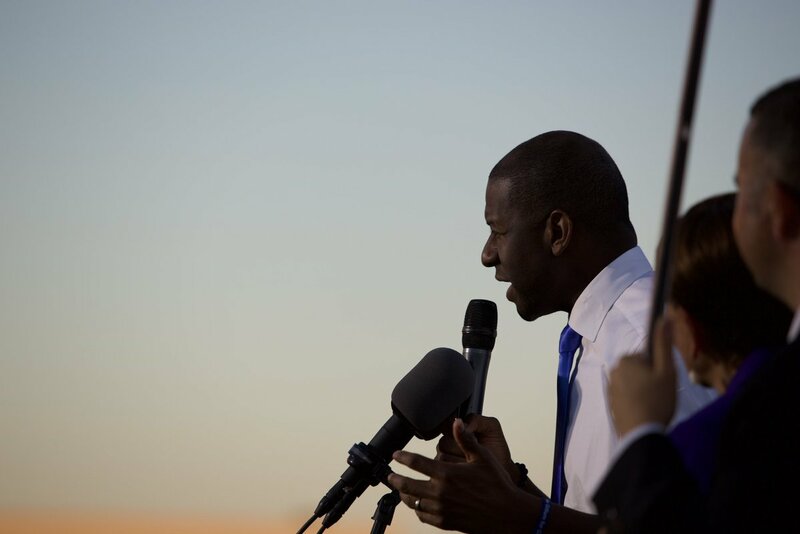 The corporate filing lists Gillum and Andrew Gay as the officers for the not-for-profit. The two men also appear in Division of Elections records as chairperson and treasurer for the Forward Florida political committee. Glenn Burhans, Jr., an attorney with Tallahassee-based Stearns Weaver Miller, appears as the registered agent for both the political committee and not-for-profit. So what’s the purpose of having a political committee and a corporation? It’s hard to say based just on the available records. Articles of incorporation don’t reveal all the details, but Joshua Karp, a Democratic strategist working with Gillum, confirmed the new organization is a 501(c)(4). That’s different than 501(c)(3) charities, which can’t engage in political activity. It’s also different than 527 SuperPACs, which is the designation commonly used by not-for-profits with “Action” in their names . Those organizations can engage in more explicitly political activity. The groups can raise unlimited funds from individuals, corporations and unions, but will have to register with the IRS and disclose contributions and expenditures. Like 527s, 501(c)(4) groups can raise unlimited funds but don’t have to disclose donors. The Forward Florida political committee in March chugged along regardless, raising $48,529 in new contributions. But it’s spending more heavily, burning through $154,521. Election records show that includes $50,000 in March spent with Burhans’ firm, the single biggest recipient of committee expenses all month.